A Season in the Congo has just two more weeks to run at the Young Vic here in London. 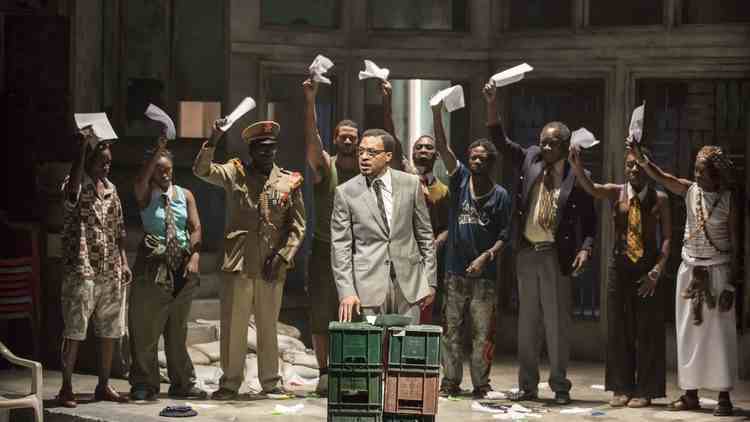 * This is the first English production of Aimé Césaire’s play about Patrice Lumumba, and his overthrow and murder in 1960. Though it was written before I was born, it deals with issues such as economic colonialism and regime change which feel just as contemporary and relevant today. The Young Vic revival is directed by Joe Wright, who directed Atonement, Anna Karenina and Pride and Prejudice. The staging and music cleverly evoke the atmosphere of the bars, brothels and streets of Kinshasa from which we see the politics; while a likembe player plays a Brechtian voice of the people of the Congo. 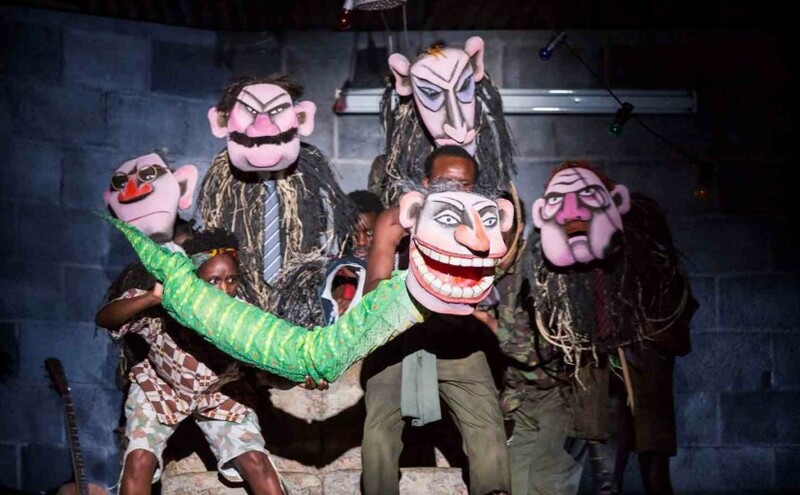 The villains of the piece are a gang of Western bankers, represented by life-sized puppets, who plan the secession of Katanga, the centre of Congo’s mineral wealth. Lumumba’s opposition to this lead to the downfall of his government (and to his death). A Season in the Congo is a powerful reminder of the inglorious history of western economic interests in Africa, and it challenges us to think about our role there today. Chiwetel Ejiofor is compelling as Lumumba, capturing the naiivety and optimism of Congo’s first elected prime minister. Daniel Kaluuya is just as remarkable as Mobutu, who seems to change physically before our eyes as he transforms from an acolyte and friend into the chief of staff who overthrows Lumumba with the support of western powers. * I see that it is now sold out until the end of the run, but that there are some returns on the day for people willing to queue. If you don’t manage to get tickets, the next best thing is to read The Catastrophist by Ronan Bennett.